Your worms have arrived. Hooray! Now what? 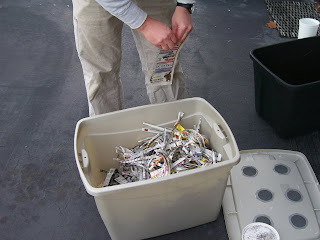 I get this question a lot, so here are the step-by-step instructions to get your bin started. I am doing this outside to be sure we have enough light for the photos. I typically start new bins indoors. Step 1. Gather your materials. You will need your bin, your worms, some food, and newspaper. You should have about half as much food as you have worms. I’m starting with a pound of worms and a half pound of food (such as old salad greens, coffee grounds, tea bags, egg shells, and banana peels). Step 2. Put your food in first. Food always goes in the bottom of your worm bin. 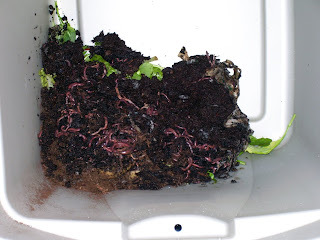 Your worms will be able to find the food more easily, it will break down faster, and it won’t attract fruit flies. 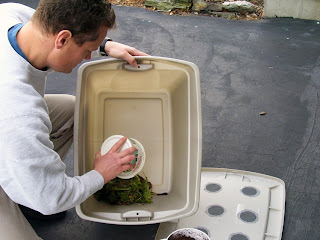 Start feeding in one corner and your worms will completely cover the food. Step 3. Add your worms. Put them directly on top of the food. Your worms will eat this food as it breaks down and you want them tin contact with it. The next time I feed them, I will put the food in the adjacent corner (the empty corner on the right side of the photo). Step 4 Add newspaper. Now you fill your bin with shredded newspaper (or other bedding). That is all you need to start your bin. No soil is necessary! Step 5. 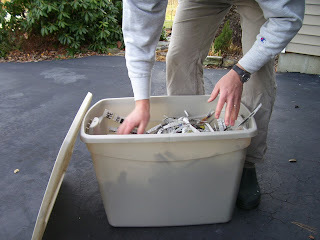 Fill your bin to within about 3-4 inches of the top (push down gently to be sure the newspaper is in contact with the worms). You’re finished! Mark your bin with a sticky note where the worms are. Feed in the adjacent (in the case of my photo) counter-clockwise corner next. 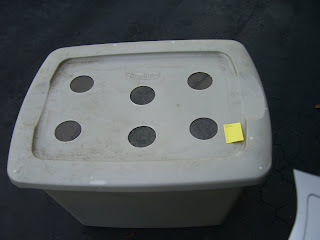 In the case of this bin, I will again add ½ pound of food next week ( the same in the 3rd and 4th corners the following weeks). When I get back to my original corner, I will feed ¾ pound of food in the corners for the following 4 weeks. When I complete this cycle, I will add 1 pound of food per week. At this point your worms should be close to double the number you originally received and able to keep up. Remember, don’t overfeed and always put the food on the bottom under the worms. Then cover with newspaper. 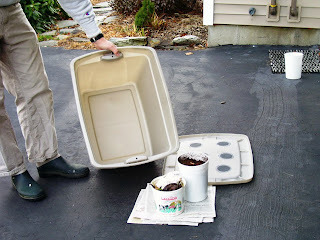 If you smell rotting food or see mold or fungus in your bin) add less food until the worms catch up. You do not spray the shredded paper with water? Ever?